QuickOffice is on its way out. This one really shouldn't be much of a surprise. Frankly, the fact that Google kept the app around this long was a bit surprising. The ultimate scenario here always had QuickOffice dying off as its features were merged into Google Drive and the new set of companion editing apps for Docs, Sheets, and Slides. QuickOffice has been around for quite a long time. The suite was first created back in 2002, well before any of the current smartphone platforms existed. 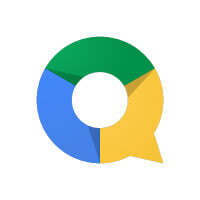 Google purchased QuickOffice back in June of 2012, and the assumption was that the product would be merged into Google Drive. It looks like that work is almost done. Google has said that in the "coming weeks", QuickOffice will be removed from the Google Play Store because the feature integration to Drive is done. If you already have QuickOffice, you can continue to use it, but it will no longer be updated, and new users won't be able to install the app from the Play Store. If you're looking for apps to handle editing of office docs, you'll have to stick with Google Docs, Sheets, or Slides, or maybe jump over to an alternative like the official Microsoft Office app. Damn.. I am a regular user of quickoffice. Would miss it. Stupid google, always killing good apps just like google reader. I will still keep the apk though. They're only killing it because the integration of its features into Drive makes it redundant now. Desktop Drive website is a capable alternative to MS Office, I agree. Alternative I spose, but no substitute. Even the free web apps on OneDrive are a better option. Not to be hater, but why? Easy integration. One professor out of 4 for my fiances degree work uses google vs the provided for office 365 (provided by the college). Getting things to flow nicely is a hassle. And having to learn different interfaces is not always fun. I can only comment on things i normally do, and it was just faster in onedrive. perhaps will have to give this one another go and see if it keeps my formatting of our last report. Quite happy with quick office will give google drive a spin. Hope is better.